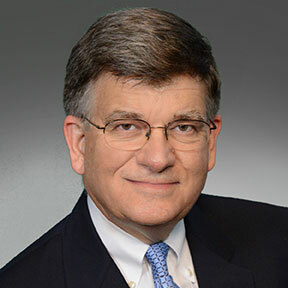 A veteran recruiting executive and vice president at Coker Group, Lee Perrett has over 25 years of experience recruiting and placing senior level executives and middle management candidates within multiple disciplines and industries, including hospitals, healthcare systems, medical group practices, consumer products, finance, consulting, and professional services. He is experienced in partnering with client organizations in their leadership selection efforts for positions ranging from Director level to President/CEO. Mr. Perrett tailors every search assignment specifically for each client and position and designs them to meet the unique requirements and strategic challenges for that role. A good fit with the organization’s culture is a top priority. Mr. Perrett is a person of high integrity with excellent communication skills, flexibility, commitment, and dedication to his clients, which are essential attributes in the recruiting and executive search arena. Held a wide variety of recruiting and human resources positions throughout his career. Partnered with client organizations in their leadership selection efforts for positions ranging from Director up to President/CEO. Fulfilled search assignments in hospitals and healthcare organizations in departments throughout the organization, from the Director level to the “C” suite. Provided “unbundled” search consulting services for clients who need only certain components of a retained search and tailored these services to the client. Consulted with hospital leadership to define the specific skills and experience needed for the particular position along with the all-important cultural fit requirements the successful candidate must possess. Provided interview and selection training to the client leadership team and/or board members, including developing targeted interview questions for their selection team.